When Europeans first visited California, they encountered one of the most culturally diverse regions of the New World. The coasts and ecologically richest areas were dotted with small polities which were supported not by horticulture but exclusively by hunting, fishing, and gathering, placing them among the more complex hunter-gatherer groups in the world. 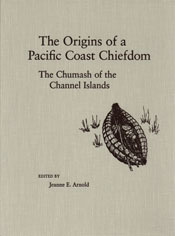 The Origins of a Pacific Coast Chiefdom considers the Chumash, perhaps the most hierarchically organized of the California groups. It explores the final thousand years of coastal Chumash culture, which culminated in the complex society witnessed by the earliest Spanish explorers. Chumash life was characterized by settled villages, massive production of prestige goods, sophisticated plank canoes, and extensive maritime exchange systems—features more characteristic of agricultural societies. Archaeological sites in the island Chumash area are exceptionally well preserved, permitting precise interpretations of both subtle and major changes in technologies, subsistence, prestige goods, and specialized shell and lithic industries. The data and interpretations presented here are the result of fifteen years of intensive investigation on the Channel Islands.